We love learning more about the life of Tripawd cats. 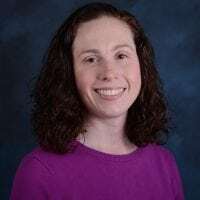 So when Purrkin’s mom Holly asked if we wanted to connect with their oncologist, Dr. Sonia Honkisz, DVM MS, assistant oncology professor at Michigan State’s College of Veterinary Medicine, we jumped at the offer. Thankfully Dr. Honkisz was kind enough to take time to answer our questions about how cat cancer, oncology and radiation affects our feline friends. We hope you find this two-part series as interesting as we do. Purrkins celebrates being cancer free. What are some common limb cancers that call for chemotherapy treatments? 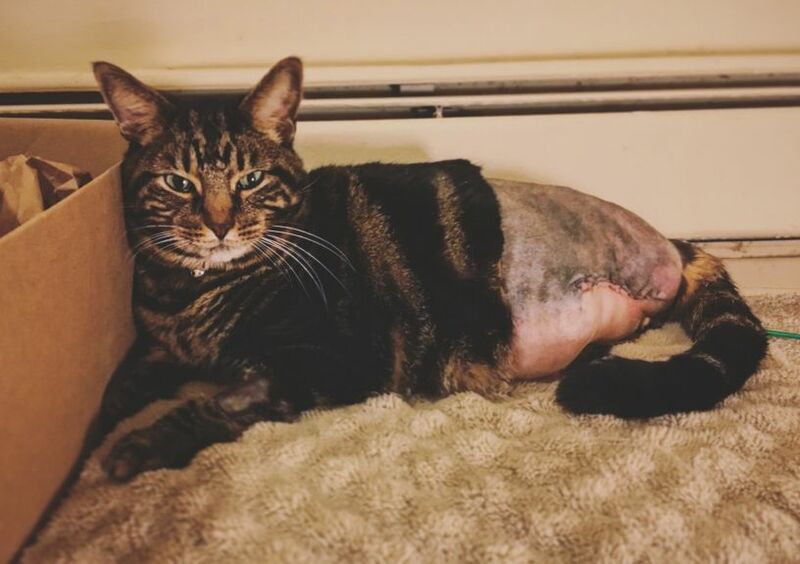 The most common cancer affecting the limb of a cat that we see is a soft tissue sarcoma, which are typically injection site or vaccine associated sarcomas. Depending on the patient, amputation may be the only treatment that is needed if complete excision of the tumor can be achieved and metastatic disease is not yet present. Unfortunately, complete excision is often not possible due to the size of the tumor at the time of presentation and diagnosis. In these patients, we then use either a combination of chemotherapy and radiation therapy or one of these treatments alone based on the location of the tumor and whether or not metastatic disease is present. Any patient (cat or dog) that has cancer of its limb with metastatic disease should be treated with chemotherapy as long as the owners are willing and able to pursue such treatment. One of the main reasons to treat any patient with chemotherapy is due to the presence of metastatic disease or the high likelihood of metastatic disease developing. Leo prepares to fight feline osteosarcoma. In your experience, how well do cats handle chemotherapy? Do most cats do alright? 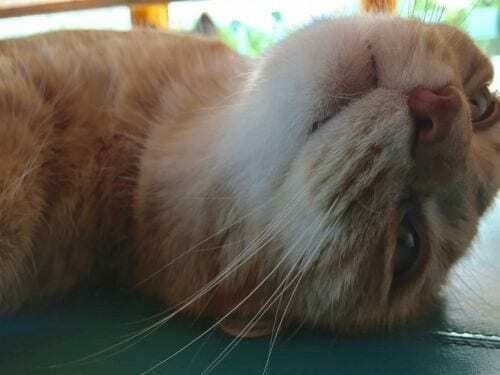 What are some treatment challenges that are unique to cats? The majority of cats tolerate chemotherapy quite well in my experience. The goal with any patient (cat or dog) receiving chemotherapy is to maintain or improve the patient’s quality of life. If a patient is feeling sick because of his/her cancer, then chemotherapy should restore that patient’s quality of life by treating the cancer and thus the ultimate cause of why the patient feels sick. Ideally, the chemotherapy administered will return each patient’s quality of life back to 100%. Sadly, this does not always happen since sometimes the cancer only partially responds to chemotherapy or does not respond at all. If the cancer only partially responds to treatment with chemotherapy, then those patients will likely only experience a partial return to what their quality of life once was. Cats are unique in that they have different side effects to certain chemotherapy agents compared to dogs. Cats are also challenging in that the exact dose of certain chemotherapy drugs is not always known. This stems from the fact that we don’t treat as many cats with chemotherapy, or with cancer in general, as we do dogs. Thus the number of studies on the dose and response to chemotherapy in cats are low compared to what has been published in dogs. The only way to remedy this is to treat more cats with different types of cancers, so we can learn from these patients. Dr. Honkisz teaches at the University of Michigan. With special thanks to Dr. Honkisz who took time from her busy day seeing patients and teaching students the intricacies of veterinary oncology at the College of Veterinary Medicine, Michigan State University. And to Purrkins and Holly for the introduction! Want to learn more? Read Part II of our talk with Dr. Honkisz and her informative look at cat cancer, oncology and radiation realities. Thank you Dr Honkisz for taking the time to do the interview!! I hope to see things change for the kitties in the future! Tripawds is doing that!! Thank YOU Holly! We’re thrilled to be able to learn and share this information with the community.